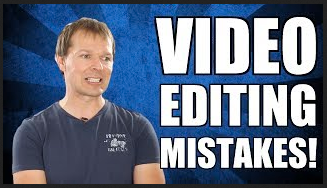 Are You Making These 3 Editing Mistakes? | Who the Heck is Frank Bauer anyway? Gideon is spot on with his suggestions, he is a smart guy and I meet him a few years ago in person when we both interviewed Mark Joyner in his Hotel room in Melbourne. The video course he recommends in this video is top notch as well, I right away bought myself a copy of ScreenFlow Hero. The whole course is quick to consume (just took me about 2 hours) and really contains great training. I already own Jules (Former MTV & BBC TV Director & the brain behind ScreenFlow Hero) iPhone Video Hero training, and so getting ScreenFlow Hero was a no-brainer for me. Check out ScreenFlow Hero for yourself, it’s great stuff!